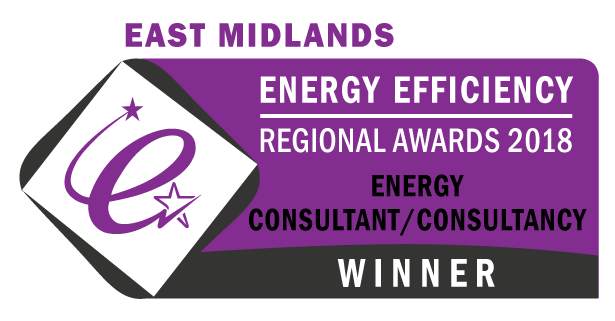 Here at Rowleys Commercial Energy Assessment Limited we provide Display Energy Certificates (DECs) and Advisory Reports throughout England, Wales and now Scotland. DECs and Advisory Reports can be completed voluntarily on virtually any building in the UK. They can be used to demonstrate an organisation's commitment to improving energy efficiency whilst helping to reduce the running costs of the building. 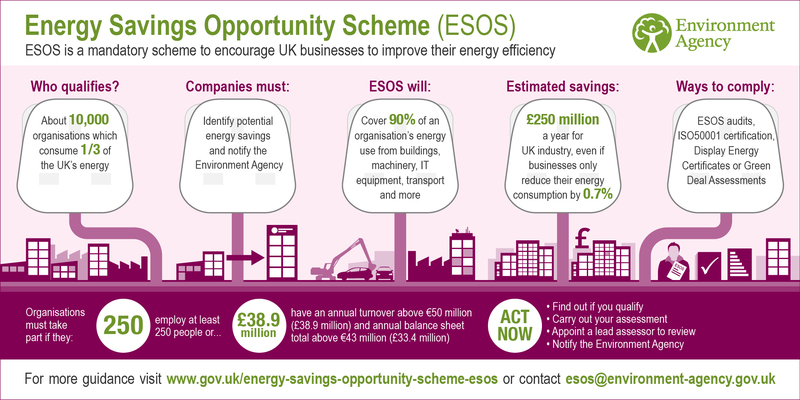 Organisations subject to the Energy Savings Opportunities Scheme (ESOS) can also use Display Energy Certificates and Advisory Reports to help them meet their requirements under these regulations. In England & Wales, Display Energy Certificates and Advisory Reports are currently required for all buildings that are occupied by a public authority, have a floor area over 250m2 and are frequently visited by the public - see our FAQs for more information about these definitions as they are not as obvious as they might first seem! It is also the building occupier, not the owner, that is responsible for obtaining them. In Scotland, Display Energy Certificates are required by building owners wishing to defer making the building improvements required by their Section 63 Action Plan. In this case an Advisory Report is not required by law but having one will potentially help reduce the running costs of the building. Display Energy Certificates show how much energy is actually being used in a building. The rating shown is calculated from the energy use recorded over a twelve month period in comparison to other buildings being used for similar activities. Meanwhile, the Advisory Report provides recommendations to help you save energy. We all pay for the energy we use so implementing these measures can often help save significant sums from your energy bills. What information will the DEC Assessor require? How can I keep costs down? Details of any surplus energy exported to the grid. During the assessment process the assessor will also visit the building. During this visit the assessor will need to visit plant rooms, meters, air conditioning systems and occupied areas to gather evidence for their report. They will also take photographs of your building and the systems installed within it. These photos are only to show features of the building fabric, its layout and how energy is being used so the assessor will avoid including people or sensitive information wherever possible. All information obtained will be securely stored and only used for the purpose of producing your Display Energy Certificate and Advisory Report. If you have any concerns please discuss these with the assessor who can also let you review photographs taken if required so that you can be reassured these are appropriate. It may also help to arrange for the assessor to visit the building outside normal opening hours when less people will be about. * This information may come from your own meter readings or energy bills. The information supplied does not have to cover exactly 365 days but information for all fuels needs to cover more or less the same period. Further details can be obtained from the assessor if required. Prior to conducting a site visit the assessor will request certain information about the building. You can help reduce the time taken, hence reducing the cost of the assessment, by ensuring the information you provide is accurate and that all the requested information is provided promptly. In particular, providing the assessor with an acceptable method of confirming the floor area and layout of the building will save the assessor having to measure the building. Accurate scaled floor plans produced by an architect or surveyor annotated with the Gross Internal Area (GIA) are ideal. Accurate and comprehensive energy data is also very important for an accurate assessment. Many organisations already report annual energy consumption over specific periods. If you have already collated this information for a particular period please discuss how this can be utilised to reduce the duplication of data collection with your assessor. 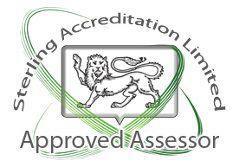 Your assessor can also advise on easy methods of accurately collecting the required information for future assessments. What constitutes “frequently visited by the public”? The key here is the frequency, not the number of visitors. A small number of people visiting the building weekly would meet this definition. However, a large number visiting once a year (e.g. for an open day) would not. However, it is important to note that visitors only have to visit part of the building. They do not need to have access to all of it to be considered a visitor. Someone visiting a reception area, however small, would be considered to be visiting the building. Employees, residents of the building, suppliers, contractors or specially invited people (e.g. job applicants invited for interview) are not considered to be members of the public. However, students at an institution are considered to be members of the public. Equally, residents in a complex visiting other buildings on the site may be considered to be members of the public. In a healthcare setting, patients are considered to be members of the public. Do I have to follow the AR recommendations? When the Advisory Report is issued it will include some recommendations to help you save energy, reduce your energy costs and reduce your CO2 emissions. It will also give you an idea of the typical cost of making these improvements and the reduction in emissions that is likely to be associated with each improvement. However, these improvements are not mandatory and it is up to you to decide whether or not you want to make them. You will want to consider how quickly the savings will pay for the improvements and what impact the changes will have on your organisation and property. In the future some buildings with very low ratings may have to have improvements carried out to improve their overall rating. Even so, it will be up to the owners to decide which improvements they wish to make. This is already the case in Scotland where some buildings now require a Section 63 Action Plan.